In this article published in the Winter 2017 issue of the Interdisciplinary Journal of Partnership Studies, Gar Alperovitz outlines the characteristics of the “Pluralist Commonwealth” model and the step-by-step movements that are already happening toward a democratic political economy that supports caring community. New developments at various level of the political-economic system suggest possible institutional trajectories supportive of community, and a longer term systemic design more supportive of strong democracy and a caring culture. An integration of institutional elements also offers possibilities more productive of equality and ecologically sustainable outcomes. 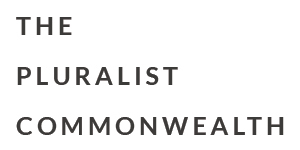 The “Pluralist Commonwealth” is both pluralist in its institutional characteristics and supportive of such “commonwealth” institutions as co-operatives, neighborhood land trusts and community corporations, municipal utilities and a range of other larger scale ownership forms. An “evolutionary reconstructive” institutional, political, and cultural path is projected as a longer term transformative process different from both traditional reform and traditional ideas of revolution. Such a path inherently seeks to maximize the development of a caring community as it builds.